It really is necessary for everyone to read this. Especially "white" people in the U.S. - but everybody in this entire world. The U.S. is a terrorist state, both at home and around the world. James Baldwin iconic piece is brilliant in every respect. This serves to be read and shared far and wide. 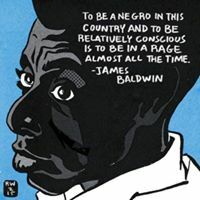 Praises to James Baldwin. Truman Nelson who Baldwin singles out as a true abolitionist was a radical journalist. His outstanding report on events in Monroe North Carolina and Robert and Mabel Williams is available in a study guide from the Freedom Archives. Will it ever end? Thank you for posting this heartbreaking article, written as only James Baldwin could write it. As a gay African-American, he knew injustice all his life. As Baltimore is policed like occupied territory today, remembering James Baldwin's words about Harlem in 1966. This article originally appeared in the July 11, 1966 issue of The Nation. i have been wondering why there's no news analysis comparing current epidemic of police violence/homicide to that prior to election of African American Mayors. I lived in DC in latter half of 1960's and every year the white DC PD killed over 20 people a year - most notoriously, a man was killed for jay walking in the block of 14th & U, then the "heart" of the black community and home to SCLC & SNCC. In Atlanta, the same violence ruled. For many years,Hosea Williams led the campaign to stop it. When the first African-American Mayor, Maynard Jackson, was elected, the atmosphere in the all white run police court where my job brought me frequently was such that I said, "If this was a Latin American country, the police would organize a coup against the popularly elected government." But then it seemed, by 1980's the police violence really subsided. This could have been written today and sadly it will be relevant tomorrow...The more things change the more they remain the same. The police and the military have always been punitive and destructive in serving racism and oppression. Words from the chorus of Marat/Sade by Peter Weiss. Civil rights movement and movement[s] for institutional reform have only suppressed abuse and brutality not corrected it. Systematically Designed to Oppress ,, Neutralize and Brutalize ! ! ! I lived in Baltimore for 5 years while pursuing my PhD. There were many tragic and challenging events during that time, 9/11, a hurricane that knocked out power for weeks, and numerous bad snow storms. But given recent events, there is one bad incident that stands out. I was at a graduate student party on Charles Street late one night, when unfortunately, the front door was left unlocked and a man entered with a bandanna on his face and a gun drawn. I remember looking into his eyes and down the barrel of his gun as he rounded up the partygoers and collected our valuables one by one. He sent us into the basement, left the house, and a guy had hid his cell phone and called the police. Although many people were frightened, the entire situation had actually been quite calm, that is, until the police arrived. It felt that they swarmed the house. They screamed at us and lined as against the wall. They had their guns drawn as the shouted questions at us. When we didn't answer fast enough, they yelled more. Many people at the party weren't native speakers of English and they got right in their faces and shouted at them. Every person at this party was a doctoral student, most of them white, and the police treated us with more violence and disdain than the robber had. I was one of the few people at the party who was American, and I started to shout back that I wanted to speak to the sergeant and started asking for names and badge numbers. The sergeant came in and pulled the cops back and they holstered their guns and finally took the report. I am an educated white middle class woman and I am empowered enough to stand up for myself against their abuse and I was still lucky that night. I am grateful for the courage of the people of Baltimore to stand up against this long-standing abuse. This is not a case of overly aggressive policing, but of a systematic oppression of the people of Baltimore by an armed occupying force. community. Instead of condemning these youth we should be begging their forgiveness. The people of Baltimore have had enough. Over just the last 4 years, police have killed 109 people in the city. And in 2014, 100% of the people killed by Baltimore police were Black. Baltimore - like most cities in America - has a long and ongoing history of violent, discriminatory and illegal policing. Following the tragic police killing of 25-year-old Freddie Gray the people of Baltimore rose up and moved State's Attorney Marilyn Mosby to charge all 6 officers who killed Freddie Gray. But while the police who killed Gray are out of jail, hundreds of protesters languish in overcrowded, inhumane jail conditions facing unjust criminal charges and outrageous bail. Click to read the original email we sent to members about this campaign. There is enormous fuel for unrest in Baltimore and this barbaric manipulation of water rights, as has happened also in Detroit, begets more outrage and violence to come. What we saw the other night is not an isolated incident. There is an entire canon of atrocities being imposed on the Poor and Middle classes of Baltimore. In-Human Monsters are in Control of this Nation! Say 'Hello' to WWIII! The assaults on poor and Black communities in Baltimore take many forms. Police killings and assaults, lack of public services, inferior public education, lack of jobs, health care, housing and now the city is shutting off water in an effort to push the poor out. This is not coincidence but deliberate policy intended to transfer more wealth and control to those who already have it. It is an indisputable fact that all men are born equal. (Amended- providing they are white, European origin, Christian and always agree with us)! As Bernie is running in dem primaries, good people do not have to worry about the "least of evils". There is an excellent track record of speaking truth to power- which is the way listeners can learn-- serious voters can expand the message and serve the education function of good debate. I am delighted to have a positive choice, a reliable and tested standard of rhetoric and performance. And if a majority of primary voters makes a different choice-unfortunately largely financed very well by those who support a fragile and dangerous business as usual, I will still be able to cast a vote against a retrograde Supreme Court come next November. Bernie is a fantastic opportunity for long waiting voters. The "S-word" is a helpful tool so that the American people can understand what is being done to them by a greedy power elite and what the people can do about it. What political policies brought the left overwhelming victory in Alberta? $!5/hour minimum wage and progressive (rich pay at a higher rate than the poor) taxes according to Bill Curry. Are US politicians beginning to feel a push to the left? Thanks to Portside for the link. This piece by Reich has enraged me and cost him a ton of credibility. He refuses to acknowledge that he was the principal driver of nafta. He and I even had a private debate over it in the presence of Atlanta's financial elite. He doesn't acknowledge that the NLRA is hopelessly broken and must be fundamentally repaired or that we came within two votes of that fundamental change with the Employee Free Choice Act. He also refuses to acknowledge that nafta cut out the heart of industrial unionism in America and, therefore, the heart and power of the labor movement. Good analysis from Prof. Reich. Some of the protests against racism in several cities may be broadened to include reactions against classism by the wealthy against the rest of us. Another interesting point is that in addition to low wages, banks no longer pay much interest to customers using them. Low interest rates are maintained supposedly to prevent inflation, yet high bank charges for credit cards are not considered inflationary. So a worker with a low wage may not be able to save any money but if he can save a little it will not be in a savings account because it does not pay much interest. So a person then has to turn to the financial "experts" to find a way to get some growth in savings. That also contributes to the increased power of the financiers. It is a gloomy development but it is amazing how in 30 years all the gains made in the post war period with much effort by workers and unions have been reversed. No it is not the market; it is the market manipulated by the wealthy and increasingly powerful elites. Too bad some honest, independent politicians are not in view. Word is Congressional Democrats will be introducing legislation to raise the Federal Minimum wage standard. That Fall of Saigon doc on PBS this week was a disgraceful homage to a few military and CIA assholes who conspired to ship out the worst of their Vietnamese war criminals and collaborators to protect them from their victorious countrymens' justice. Yes, America is Number One. Number One in military spending. Number One in the number and percentage of its citizens who are behind bars. The ONLY industrialized country that doesn't guarantee healthcare for all citizens. One of five countries that doesn't have paid maternity leave (the other four being Somalian and three obscure places I've never heard of). Yeah, we're exceptional all right, for all the wrong things. A genuine revolution -- yet one that few in the West know about! This is criminal, these are what our country and the world has sought prosecutions of others -- for war crimes. As a Jewish American I am outraged and sickened. The soldiers provide a current example of the "free fire zone" policy, the term for indiscriminate killing in certain areas used by the U.S. military in Vietnam. They also describe the demoralization process running through policy, leadership, culture, and the soldier. Yet some resist, whether by refusing outright or by telling their stories later, in shock about what they participated in. 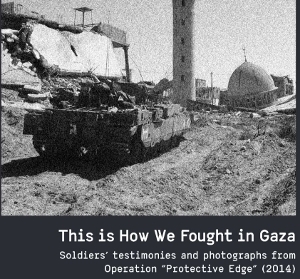 The belief that "Any sane person who sees a tank battalion in his neighborhood will run away. If he sticks around, then he's up to something" is the same as the occupiers' attitude towards those Palestinians who have not run away from their land despite seeing the "tank battalion" of encroachment and dispossession. They are "sticking around," therefore "They must be up to something" even if it's just trying to continue life in their homes. And the United States continues to give $3 billion a year to the Israeli Defense force to enable this racism to continue . Anyone that thinks this is good news for the country and the people are suffering from a sickness in their minds. Plus many baby boomers are retiring and although we'd like to remain in the union because our blood is union blood, we can't. I don't think the younger generation understands Union history. Public sector unions are the last stronghold of the U.S. labor movement. Which is why the right works so aggressively to vilify them. Unions were the savior of the working man (and woman). Big corp has always hated them.....research what my Dad always called the union wars....police in the streets to shoot the workers....how this hard fought and won battle can be forgotten and thrown away by modern society is completely beyond me. 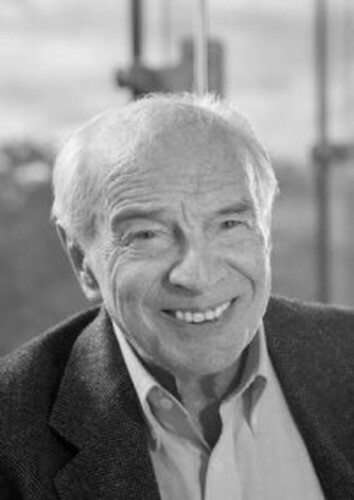 On 17 February 2015, Feliks Tych passed away in Warsaw at the age of 85. The distinguished Polish scholar is well known to North American historians mostly for his important research on the famous Polish-German socialist Rosa Luxemburg and on the "Jewish Bund". During World War II his Jewish parents gave him to a Polish family. So he survived while all other family members became victims of the Holocaust. After the war he studied history in Warsaw and Moscow, receiving, in 1960, his post-doctoral degree (habilitation) with a thesis on the Left Polish Socialist Party in World War I. Between 1956 and 1968 he worked at the Institute of History of the Polish Academy of Sciences and in the History Department of the Polish Workers Movement. During these years and later on, he initiated several important projects and edited very carefully reference books and document volumes such as the Biographical Dictionary of Polish Labor Movement and the Archive of Labor Movement with previously unknown documents from Polish and Russian archives in eleven volumes. Further, the Journal Z pola walki would contain many essays and documentations including some previously unknown Rosa Luxemburg letters discovered by Feliks Tych in a Moscow archive. But in 1968, as a result of the anti-Semitic purges in Poland, he was dismissed. Nevertheless, he continued his scientific work - for the next two years as a "free" academic writer - publishing three volumes with the complete Rosa Luxemburg letters to her close companion Leo Jogiches - a pioneer work which was translated into German, French, and English and had great impact and inspiration on the Rosa Luxemburg research. It was especially this work that gave him an international reputation in the early years of his career. When the anti-Semitic wave in Poland receded again he could work as the head of the archive of the Polish Labor Party and was appointed as extraordinary professor in 1970, and later a full professor in 1982. After the end of travel restrictions by the Polish communist authorities, he could join again the "International Conference of Labour and Social History" an annual congress in the city of Linz in Austria and meeting place for international scholars of labor movement. During his permanent active participation he influenced the meetings as a "bridge constructor" between the "Eastern" and "Western" historians which was quite a difficult but important task in the era of the "Cold War". In the same sense he worked actively in the "International Rosa Luxemburg Society" (Chairman: Prof. Narihiko Ito, Tokyo) since its foundation in 1980. Due to his international reputation he received numerous invitations from foreign universities to come lecture. In the 1990s, Tych worked as a visiting professor at several German universities. From 1995 to 2006 he headed the Jewish Historical Institute in Warsaw during which time he improved its financial stability and enhanced its scientific reputation and public influence. One result was the "Museum of Polish Jews" which he initiated and realized with the help of many volunteers. Several important publication projects (some of which he continued after his retirement) were, for example, document editions like the Ringelblum archive papers from the Warsaw Ghetto, the documents on the Polish Jews who had fled to Russian occupied Poland, children interviews protocols on the holocaust (1944-1948). At the same time he continued to lecture and publish on labor movement issues. As a special honor on the International Holocaust Remembrance Day (27 January 2010), he was asked to give the memorial speech before the German Parliament. Prof. Tych leaves a rich scientific heritage: He was author of five monographs, a most careful editor of 26 tomes of reference books on labor movement and Jewish history in Eastern and Central Europe during the late 19th and the 20th century. He was a most appreciated lecturer at international conferences and a much demanded writer by scientific journals with altogether about 300 papers. Many of his works have been published not only in Poland but also in other countries from Germany on to France, Italy, Austria, Hungary, Israel, the USA, the United Kingdom, and Japan. During some well-organized conferences in Warsaw (e. g. 1996 on Rosa Luxemburg, 1997 and 2012 on the "Jewish Bund") friends and colleagues enjoyed his generous hospitality. Feliks Tych will always be kept in mind as an outstanding historian, as an inspiring, encouraging colleague and good friend. 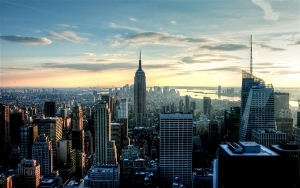 Walter Balcerak - "The View From Brooklyn" - Now retired, the author was a professional writer for his entire career, working as a technical writer, and as an editor/writer for trade magazines and a union newspaper. Bill Hohlfeld - "Ascent to Avalon" - An author who spent 32 years as a Metal Lather/ Reinforcing Ironworker and 11 years at Local 46 Labor Management Cooperative Trust and now writes for the Labor Press, New York. Stan Maron - "New York Hustle" - In his memoir, the author takes us back in time to his troubled youth in a New Jersey beach town, and early jobs delivering racks of clothing, loading bricks at demolition sites, and peddling on the streets of New York. Moderator - Tim Sheard, New York Chapter of the National Writers Union UAW Local 1981. Tuesday, May 26, 6-8 p.m. Authors will be signing books. Light refreshments. Sponsored by the New York Chapter of the National Writers Union, UAW Local 1981. Co-sponsored by the New York Labor History Association and The Metro New York Labor Communications Council. 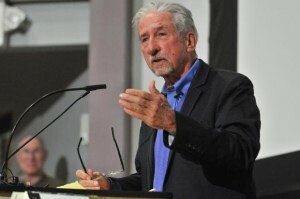 Join the JP Forum for a book talk with Tom Hayden - one of America's best-known voices of political and social activism. Based on unprecedented access to both Cuban and American officials, Listen, Yankee! : Why Cuba Matters offers fresh insight into one of history's most enigmatic relationships between nations. In Listen, Yankee!, Tom Hayden gives us two countries that share much more than a fifty-five-year disagreement. He writes both as an observer of Cuba and as a US revolutionary student leader telling his own story, someone whose efforts to mobilize political change in the US mirrored the radical transformation simultaneously going on in Cuba. His astute observations are often dazzling and always based on his years of research and special access to key figures.